SkySat C1 is the first of 19 operational Earth Observation Satellites in the initial constellation operated by Terra Bella (formerly Skybox imaging) to collect high-resolution panchromatic and multispectral images and video of Earth to be offered on the commercial market. 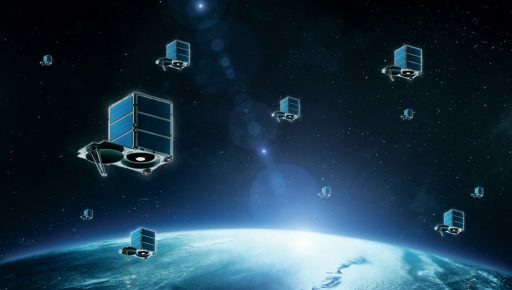 The California-based company plans to develop a constellation of satellites in four different orbital planes to be able to deliver imagery of any target on Earth with the shortest possible acquisition latency. Imagery collected by Terra Bella comes to use in environmental applications, monitoring agriculture and forestry, tracking natural resources, and asset tracking. A pair of prototype satellites were launched in 2013 and 14 atop Russian Dnepr and Soyuz 2-1B rockets to demonstrate the satellite platform, an in-house development by Terra Bella with production switching to Space Systems Loral for the operational birds. 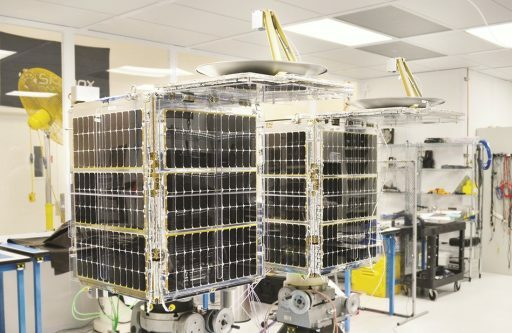 The two prototype satellites demonstrated their powerful optical payloads by delivering impressive high resolution imagery from orbit including high-definition video that demonstrates the pointing accuracy of the satellites. Since 2014, the company is a subsidiary of Google, being acquired for $500 million. 19 SkySat Constellation satellites are to be orbited starting in 2016 with options for another six satellites to extend the operational life of the first constellation. One of the modifications of the operational satellites over the prototypes is the addition of a propulsion system for orbit control. 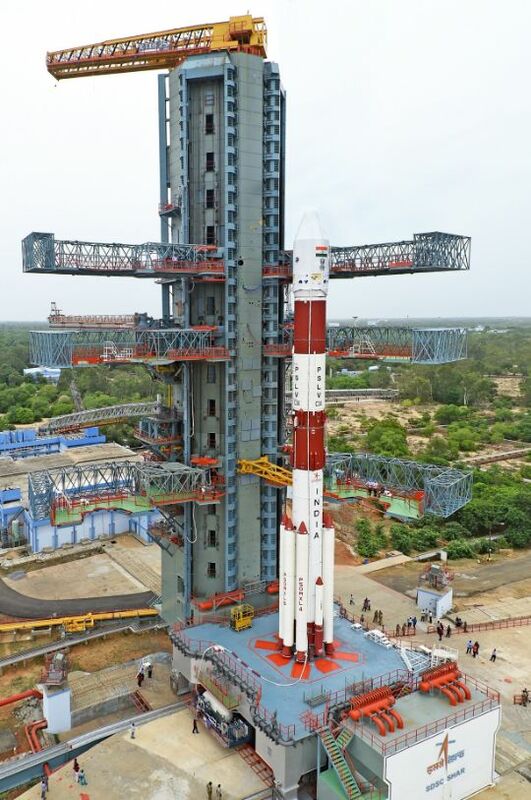 Compared to the two prototype satellites, SkySat-3 stands 15 centimeters taller, is 30 kg heavier and hosts more efficient reaction wheels and a propulsion system provided by SSC Corp.’s ECAPS division. Also, the imaging payload of the operational satellites features smaller pixel sizes to improve image quality. The SkySat-C satellites are 60 by 60 by 95 centimeters in size and weigh approximately 120 Kilograms. 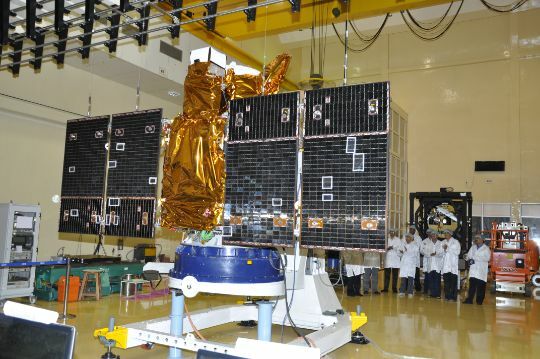 The satellites make use of body-mounted solar cells for power generation, delivering over 120 Watts of Orbit Average Power. Attitude determination primarily relies on Star Trackers and Inertial Measurement Units with an internal closed-loop control system in charge of running the Attitude Determination and Control scheme. Reaction wheels and magnetic torque rods are the primary actuators of the spacecraft. The optical payload of the SkySat spacecraft is centered around a Ritchey-Chretien Cassegrain telescope with a 3.6-meter focal length. The RCT design is comprised of a hyperbolic primary mirror and a hyperbolic secondary mirror to eliminate any off-axis optical errors. This telescope arrangement provides a wider field of view than reflective telescopes. The telescope feeds a 2560 by 2160 CMOS detector with a 6.5µm pixel size. The upper half of the detector is used for panchromatic imaging across the 400 to 900-nanometer range and the lower half is divided in four stripes covered with bandpass filters: Blue 450-515, Green 515-595, Red 605-695, and Near Infrared 740-900nm. The imaging instrument is operated as a staring 2D imager. 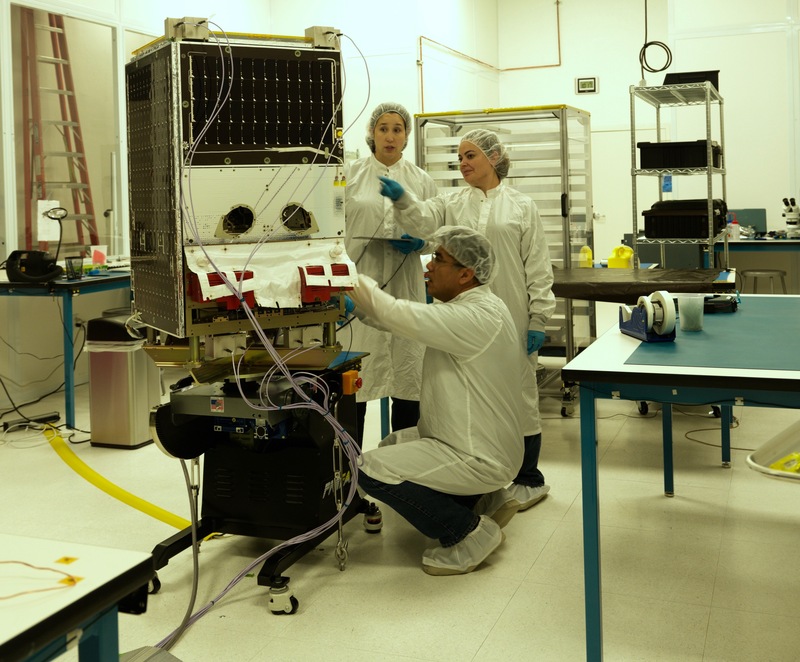 SkySat covers a ground swath eight Kilometers wide and achieves a resolution of 0.9 meters for panchromatic imagery and 2.0 meters for multispectral images. Video acquisition in panchromatic mode uses a 30fps frame rate and reaches a resolution of 1.1 meters. 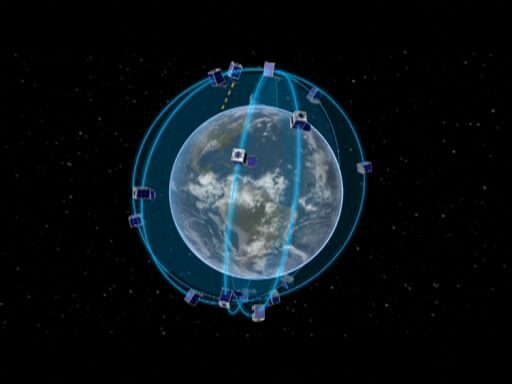 90 seconds of video can be collected from the same location by slewing the satellite to compensate for its orbital motion. The telescope aperture is protected by a door that opens once the satellite is in orbit. The cover also hosts the high-data rate antenna of the satellite that points to nadir, not requiring significant attitude maneuvers for data downlink. Image data is put through a JPEG 2000 compression algorithm and video is sampled to 1920 x 1080 HD, though raw data at 2560 x 1080 in TIFF format with 11-bit radiometric resolution is also available. Onboard data is stored in a 768GB memory and downlinked to the ground at 450Mbit/s. The SkySat-C satellites introduce propulsion systems for orbit control of the satellites in order to establish a coordinated satellite constellation with proper spacing in between spacecraft in order to be able to capture imagery of any given location three times per day. The satellites host a High Performance Green Propulsion System (HPGP) with four 1-Newton thrusters consuming an environmentally benign Ammonium Dinitramide-based monopropellant known as LMP-103S which also contains methanol and ammonia. This system has the advantage of a higher specific and density impulse than other monopropellant propulsion systems while also allowing for long storage of a fueled spacecraft on the ground. 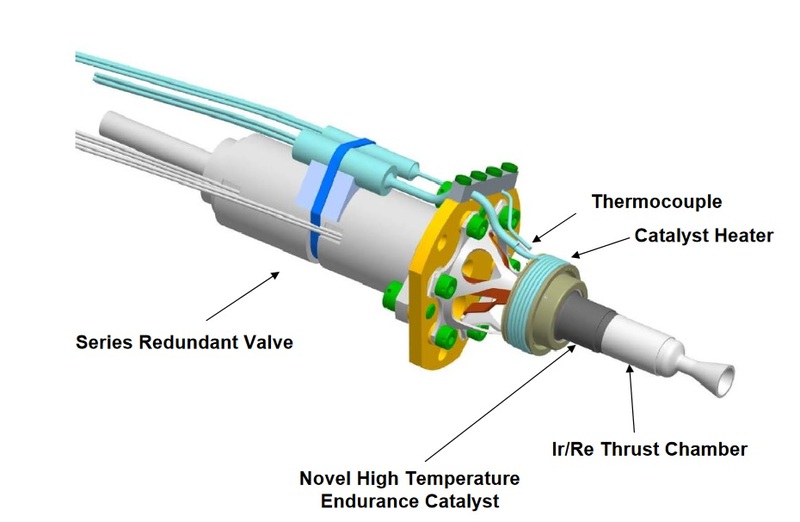 The 1N thrusters have a specific impulse of 235 seconds and operate at a combustion temperature of 1,600°C, making use of the catalytic decomposition of the propellant over a heated metallic catalyst bed.